Is this a defect on the screen? 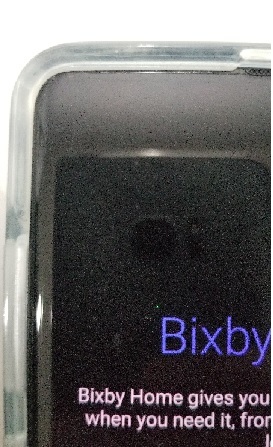 Just picked up my S10+ yesterday and today I notice that one pixel is "stuck" on a blue color. It is especially visible when in night mode or on darker colors but hard to see when the screen is white. I'm guessing its a problem with the screen..but i'm just double checking if anyone else had a similar pixel issue before I go through the hassle of exchanging it. Didn't have this issue with my GS10+. don't have the issue either, you can see in dialer app *#0*# see in the menu test colors out and maybe get it back to normal otherwise needs a replacement. Yeah, looks like it's a bad pixel. It looks like a blue dot that always there. Luckily I work at Costco, where I bought the phone from. So I talked to them today and they ordered me a new one. But what a hassle. Sorry to hear that. I've had issues with stuck pixels when buying laptops online, but never with a Samsung phone. You'd think this wouldn't happen given that Samsung manufactures their own OLED displays. Glad you could get a replacement though! Can you force a Galaxy S10 to stay on 3G network instead of switching to 4G?